J: Four people trapped in a lift and wouldn't you know it, one of them is the Devil. That pretty much summarises this film's plot. There's nothing intricate or different or even vaguely scary about this, so I wouldn't recommend it. I mean, it'll kill 80 mins if you have nothing better to do, but I'll assume you do so just so you know...it's the old woman. You're welcome. Granted the plot doesn't sound that great but it is a pretty decent movie for something I thought would be utter trash. J: We watched Surveillance because we really enjoyed Chained, the other film by Jennifer Lynch. I'll admit it wasn't as good as Chained it was still a pretty good watch. The long and short of it is some folks are murdered and it's a bit of a who-done-it? It got quite confusing at times and a bit ridiculous, And the twist at the end was quite...odd. But if nothing else I found another movie that the president from Independence Day has been in! L: My god I don't even know where to begin with this. I hated it. I was confused, bored and thoroughly underwhelmed by this film to see how much I was taken in by Chained in last month's reviews. The characters were far too out there for the film to resemble any sort of real life situation. It was weird in a very terrible way. Don't waste you're time. J: Ahaaa, a good old Robin Williams movie! Has he ever done a bad one?! Robin plays Patch Adams, a medical student who finds that befriending and engaging with the patients has a much more positive effect on the patients' outcomes. Of course there are the suits that try to stamp out such tomfoolery! As well as Robin been fantastic (as usual), the supporting cast are really good too. It's heart-warming and life afferming. I'm not sure if Lauren cried...she almost definitely did. L: Am I ever going to find a Robin Williams film I don't completely love?! (or one that I don't cry at) I don't think so! 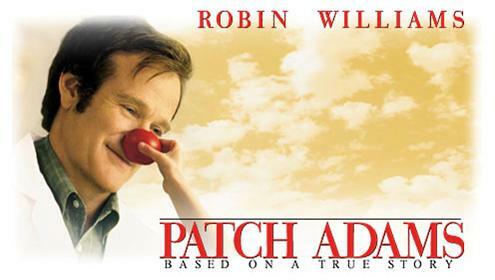 It disappointed me to read that the real Patch Adams wasn't a fan of this movie and I can see why when parts of his life and work were skipped over and glamourised, but I loved this film. It was funny, touching and heartwarming. J: I love the book and while the film has to streamline the complex plot it still does a fantastic job at staying faithful to the text. 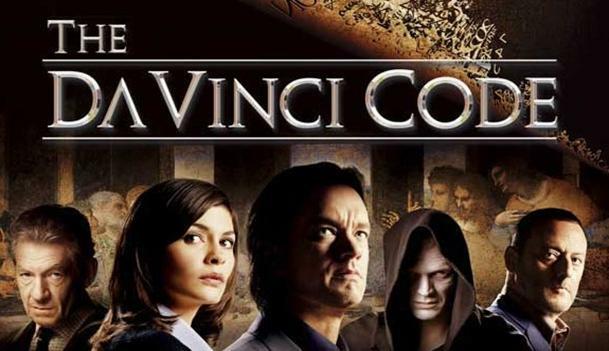 I can't even begin to explain the plot, suffice to say that Tom Hanks' character Woody Professor Robert Langdon has to find the Holy Grail. One great casting call was having Gandalf Sir Ian McKellen as Leigh Teabing, a Holy Grail enthusiast, adding a wonderfully theatrical gravitas to proceedings. Together Woody, Gandalf and criptologyst Sophie Neveu set about their needle-in-a-haystack task. L: I could never get into the book for some reason but the film really grips me. We've watched this before but it didn't stop it from being any less exciting the second time around. It presents some very interesting ideas and the cast is well chosen, drawing you into each character. 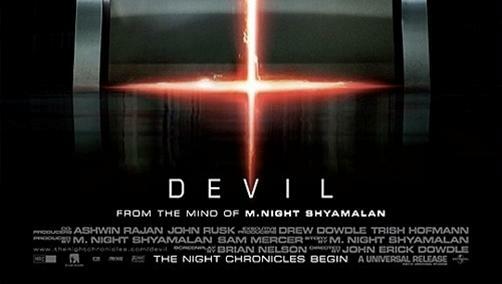 I really want to watch Angels and Demons though I've heard it isn't as good. J: This is right up there as one of my favourite films ever. 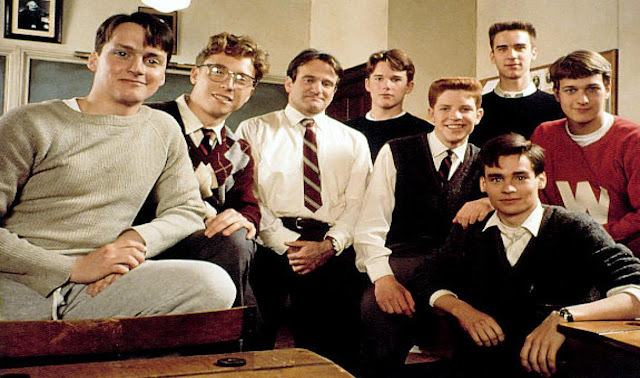 Dead Poets Society sees Professor John Keating become English teacher at the prestigious Welton Academy, a prep boarding school. Through his inspiring words and poetry he encourages students to think independently and seize the day. The entire cast is fantastic and relatable, and you find yourself really rooting for all of the boys (especially the pre-House Jimmy Wilson (called Neil Perry here) played by Robert Sean Leonard...the boy just wants to act!) From start to finish, an amazing film. Watch it! Oh, and that final scene... "oh captain, my captain!" L: This is easily one of my favourite films of all time. I don't even think I can put into words why this film is so great. You come away feeling inspired and as cheesy as it sounds like you want to do something with your life, seize the day. It's a great look at education too and the small box that it can place you in, I would have loved a teacher like John Keating who teaches free thinking to his students. Whilst Keating and Neil Perry are arguably the main and very well played characters I have to say I also love Charlie 'Nwanda' Dalton, the lovable rogue. 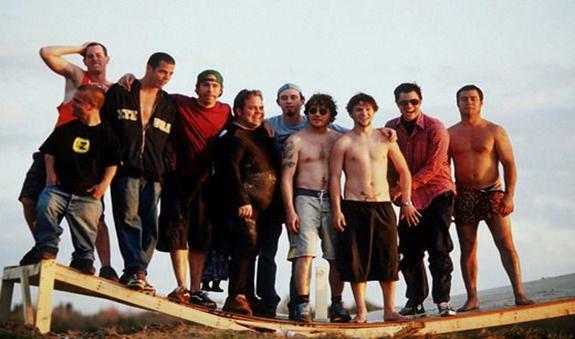 J: Guys just having a laugh, standing around usually half naked (and sometimes completely naked) doing absolutely stupid stuff. Not going to lie, it's hilarious. Some of the mad stuff they think up of is mad: sometimes it's dumb as s**t, sometimes it strays into insanely dangerous territories. All of it has you howling...if not cringing and gipping a little too! Love the TV show, loved the movies! L: We've grouped both the movies together because lets face it they're hardly that different. It's the same bunch of guys doing stupid stunts, walking around half naked 99% of the time and making me gag in pretty much every scene. I have a very boyish sense of humor so I have to say I find Jackass bloody hilarious but there are a fair few stunts I just can't watch because I probably would be sick.